Outbound vs. Inbound Marketing - Which is Better for My Business? Inbound vs. Outbound Marketing: Which is Best for Your Business in 2019? For the last decade through to today, traditional advertising, or what is known as outbound marketing has been seeing a steady decline. This decline represents the major shift towards inbound marketing – a whole new way of connecting with audiences like never before. People are no longer watching TV, and if they are, it is being streamed through a mobile device, or through a medium like Netflix or Hulu, which allow them to watch commercial free. When they are watching cable, chances are they are being sucked away from each commercial by their phones. Put simply, people have been turning a deaf ear to commercials for a long time now. Atop this direct mail is opened less and less each year, down to about 10-25% now depending on industry, with an open rate of 3-5%. And many email marketing campaigns end up in spam folders, with an average of about 57% in 2017. The best marketers are well aware of this, and have been steadily shifting their outbound marketing strategies and budgets to inbound marketing strategies such as content marketing over the last decade. Enter the battle: inbound vs. outbound marketing. What are some effective inbound marketing strategies? What are the different types of inbound marketing? What are some inbound and outbound marketing channels? Is inbound marketing best for my company? Before we can understand why inbound vs. outbound is quickly becoming a one-sided argument, let’s take a second to understand what outbound marketing is. Outbound marketing is a type of marketing where the company reaches out to the customer first. This is the opposite of inbound marketing, which is when a customer reaches out to a company first. Some major types of outbound marketing include TV, radio, print advertisements (newspaper, magazine, etc…), cold-calling, PPC, cold emailing and trade shows. As some of the statistics above laid out, outbound marketing is now considered to be far more costly than inbound marketing in most instances, and is also equally less effective. Despite this, there is one type of outbound marketing strategy that can be leveraged even in today’s online environment in order to yield profitable returns. With this outbound marketing definition in mind, what are some examples of outbound marketing? The most effective form of outbound marketing is without a doubt PPC. For those who are not familiar, PPC stands for pay-per-click, and refers to advertisements which are displayed on search engines and other online mediums such as Facebook, LinkedIn, and Instagram. These ads are exactly as they sound, where an advertiser pays for potential leads on a per click basis. They are especially effective for B2B marketing. This method of advertising is most effective when used in concurrence with inbound marketing. Potential customers should be brought to an effective landing page from an ad that is designed to maximize click through rate where they should be educated about the product first, shown the value of the product, and introduced to the brand and its ideals. Once arriving, if the customer does not convert, they can then be retargeted using data from Google Analytics. These retargeting campaigns can be ran on a multitude of social media platforms that users interested in, in order to continually remind them of your brand and the value that you bring. 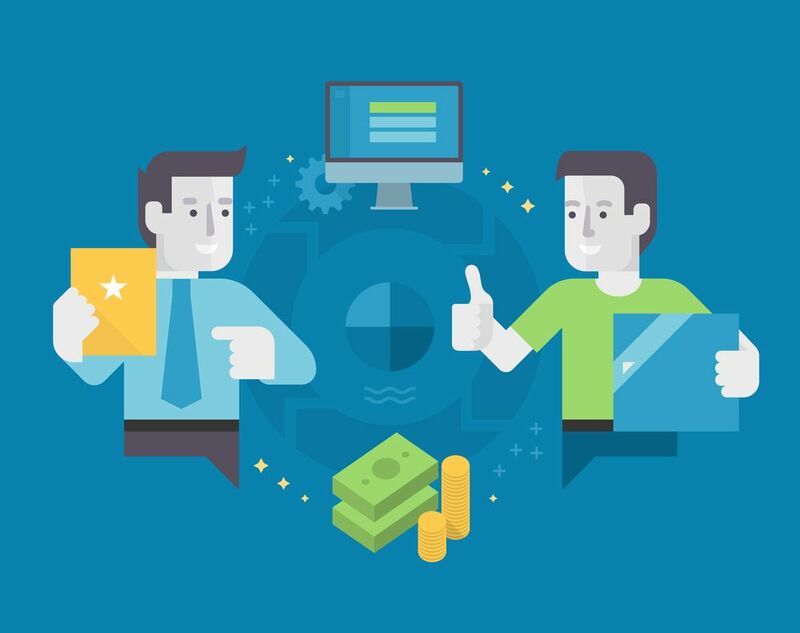 Another effective tactic is also utilizing these retargeting campaigns to distribute top of the funnel content to your audience to continue educating them on your product or service. If done right, these PPC campaigns can see amazing results in terms of ROI on your content marketing efforts. Some of the most common B2C PPC platforms are Google search and Facebook, wild B2B sales are dominated by LinkedIn. Inbound marketing is the science of teaching your customers to contact your business. Inbound marketing is based on making touchpoints with your customers right at the source of their needs: their questions. Through channels like blogs, social media, and search engines, inbound marketing is designed around adding value to your customers experience to guide them seamlessly and smoothly through your sales funnel without them even noticing it. Rather than combatting hundreds of companies for the attention of your potential customers in short blips of inappropriate, unwanted, and annoying content, inbound marketing focuses on addressing your potential customers’ needs and problems to bring in already qualified leads with every touch point. Put simply: provide more value, get more customers. The market reflects this, showing us in 2017 just how loud the voice of inbound was, with 38.4% of total US ad spend going to inbound marketing, and just 35.8% going to outbound marketing. This marks the first time in history that outbound or traditional marketing has been trumped by inbound marketing. Also, it is notable that only 16% of marketers say outbound practices provide the highest quality leads for sales. This is not to mention the 33% of marketers who considered outbound marketing to be the biggest waste of time and budget in marketing campaigns. 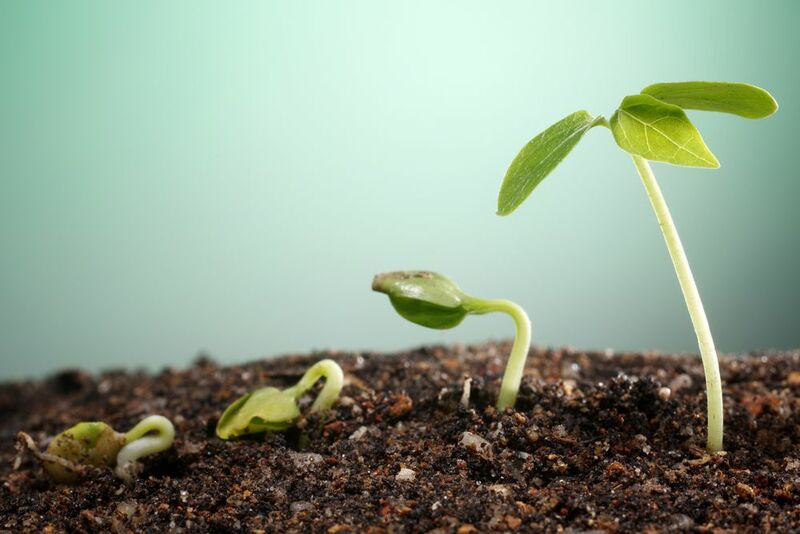 Inbound marketing is not a net, but a breeding ground. Outbound marketers try to cast a big, expensive net to catch as many fish as possible by finding a decent location for fish and then casting hundreds of nets. As we explained above, people no longer watch TV, and if they do it is most likely through a form of streaming network that allows them to skip out on commercials. Why? Because commercials are annoying. They interrupt what you are doing. However, content marketing utilizes the power of permission marketing, only attracting people who are already searching for answers to find your content. Not only does this allow you to make each target with your marketing budget more accurate and more likely to convert, but it leaves every person who is involved with your content with a good taste in their mouth. You did not interrupt them, but asked if they could use some help, then provided value to them in their buyer’s journey. By providing your audience with a high amount of value through custom web content, you are demonstrating to them that you are a source of trust in your industry. This allows them to not only recognize your brand the next time they see it, but also to trust that if they are looking for a solution – you are the answer. Being a thought leader essentially means that you are a source of reliable and new information in your industry. This can only be achieved over time, from researching, making, and consistently delivering high quality content to your users. While this can take months or even years to fully cultivate, the rewards for becoming a thought leader are immense. For instance, every time you think of content marketing, you probably think of Neil Patel right? That’s because he has taken the time to become a thought leader in this industry. As a result, a majority of the traffic in the space both on Google and social media platforms flows to his site. This allows him to rank at the top of SERPs for just about any content marketing related query, sending thousands of people to his site every month, who are qualified leads for his services. By creating custom pieces of content that answer all of the objections, problems and questions your audience has, you can dramatically increase your likelihood of converting leads. If someone comes to your site in the discovery stage, you can use content to drive them towards more related articles that can help them make a purchasing decision. If they are ready to buy, you can give them the final push they need with an in depth article that displays your expertise. This is much different than traditional marketing, which just assumes or hopes that every buyer is the same and are at the same part of the buyer’s journey. Even more impressive, content marketing (inbound marketing) can be used to target very specific types of leads, such as buyer personas. Not every buyer is the same, in fact, if you have done your research, you should have at least 3-5 categories for your ideal leads. This means that each lead needs their own content to address their needs, questions, problems, and objections. Inbound marketing focuses on providing each type of lead with the right information necessary to convert them into a client or customer. 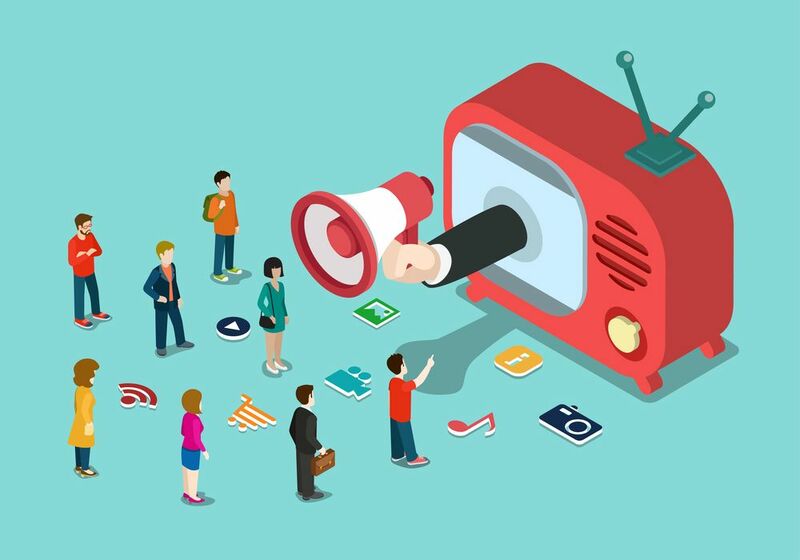 A majority of companies now have multiple media channels where they interact with their audience online. The problem is, most of them are not aware of the best channels to reach their audience on, and what topics to write about. Creating a content calendar can help to improve your understanding of your audience, and and effectiveness of your content marketing efforts. So, with all these clear benefits of inbound marketing, how do you develop and inbound marketing strategy? Some of the best inbound marketing strategies involve creating and cultivating an audience first. This sounds backwards, but when you break it down it begins to make more sense. Why spend millions of dollars developing a product or service and then hundreds of thousands more to sell it to a potential market that might not even buy it? 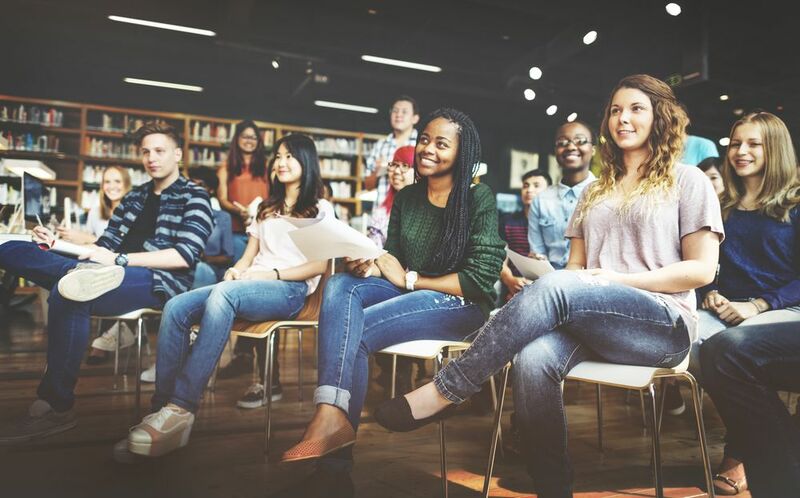 When in reality, it is almost completely free to develop an audience based around an interest or skill that you have, and bring value to them. Once you have developed a large enough audience that continually comes back for the value you provide, by default you almost have to have a deep understanding of their demographics needs and problems. So by default, you are already at an advantage compared with someone who has developed a product but does not understand their audience. This is the business model of some of the greatest content marketing and inbound marketing specialist of our time. Companies such as Moz, QuickSprout, SingleGrain, Neil Patel and Backlinko all started out by producing content that brought value to their audience. Before long, they all had developed email subscriber list of 10,000 + who readily open their emails. Because of all the buzz they built around their content, they knew exactly what their audience was struggling with, and began to build tools and services that and to alleviate these pain points. Everyone wants to see results instantly. They want to put out a blog and have it bring 1,000 new visitors to their site by tomorrow and then want to convert 500 of them into clients. Well, it doesn’t work this way. The best way to attract people to your site in 2019 is to provide them with free sources of value like calculators, tools, etc… which they can use to solve their problems. While it may cost a few thousand dollars to purchase an online tool and put your spin on it, it is such a worthy investment in terms of the traffic it will generate for your business if done right. One of the biggest mistakes that we see content marketers make for their companies is a lack of consistency when it comes to producing and publishing high quality content. Sure, while producing a few blogs will always help your site in terms of traffic, you will really only see the best results from consistently producing content. This doesn’t mean just blogging once every 3 weeks for the sake of doing so. It means getting on a weekly, or even bi-weekly schedule of posting high quality content and promoting it across social media. It sounds too simple to be true, but content really is King. There is no substitute for content in today’s marketing world. Building the best content in your industry, whether by yourself or working with a content marketing agency, will greatly improve your websites metrics. No one wants to read a 300 word blog. They want meat. They want detail. They want VALUE. In this day and age, you can’t fool Google into ranking you higher in SERPs because you keyword stuffed a bunch of short articles to death. Even if this does get you some traffic, the people who find it are likely to leave very quickly and go to another post – sending bad signals to Google that you did not fulfill user intent. The result? Your rankings get worse over time. The solution? Produce high quality content only! A perfect example of this is Brian Dean of Backlinko. He typically only produces content on a monthly or bi-monthly basis, having only about 30 posts on his site. BUT, each one of his blogs are 10,000 word comprehensive guides that no one in the world could even try to compete with. This has allowed him to build a site that gets well over 200,000 monthly visitors in just a few years. Want to make the best blog content on the web? Don’t we all. But who wants to put in the research? Probably not half the people who say they want to be the best. What Content Should You Try to Outrank? What is My Audience Searching For? We also have a suite of free content marketing tools that help you conduct content research and create the best blog content on the web. Check them out here. Now, let’s take a second to review how inbound and outbound marketing strategies play out in real world inbound vs. outbound marketing examples. This will make some of the topics we have covered start to click. If you have ever had a career where cold calling was a part of your job description, you understand the pure frustration and futility that is cold calling. 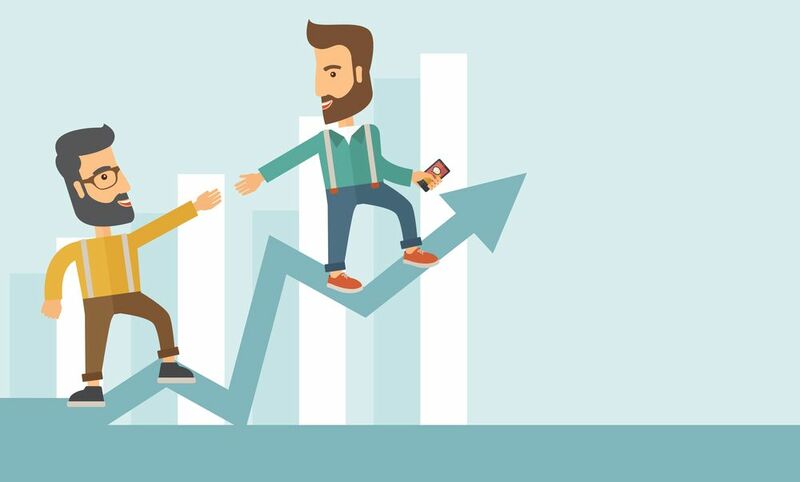 While it played a significant role in developing almost every successful sales representative, it is by all means the bottom of the sales totem pole both in the eyes of customers and employees alike. The reason why inbound marketing is so much more effective is because outbound marketing is just so invasive. You wouldn’t probably date someone who just introduced themselves to you on the street, so why would making a purchasing decision be any different? You know what’s about 100x better than this cold call scenario and 10x more cost effective? You guessed it! Receiving inbound calls from your prospective clients. Have you ever gone to a company website and just felt so enamored by the information they gave you and the service you received that you called or signed up immediately? A great example for this in my experience was GoDaddy. Since day one of my coding experience, I never even considered another option besides GoDaddy. Why? Because every single time I have had a question, they have stepped up to answer it. Most of the time, I never even had to leave their site. And the few calls I did have with their representatives had absolutely no attempts to upsell me. They answered my questions, gave me expert advice that went above my needs, sent me additional resources by email, and gave me a contact number to call any time for my own representative. Now that is service! They even have videos on their site to explain EXACTLY how to do technical tasks, and a YouTube channel dedicated to tutorials for virtually everything on their site. On top of this, they have a very active Twitter account that usually responds to customer complaints within an hour or less. There’s a reason why in this day and age, Amazon, one of (if not the most) customer obsessed companies on Earth is also one of the largest and most successful. They are literally obsessed with bringing us value. You should do the same. When it comes to your content marketing campaigns, your goal should be to dive people to give you a call. From here, it is your job as a business owner to make the close and secure them as a client. Every effort made to get them there is inbound marketing. THEY are calling YOU, not the other way around. This means they already have a need, and are looking for a solution. All they need is a small push in the right direction to know why your company is the best solution for them. 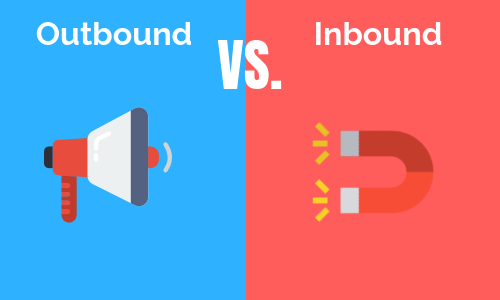 Now let’s take a second to examine some examples of outbound sales vs. inbound sales, and why inbound marketing is so effective in 2019. Don’t get me wrong, while it may seem like I am absolutely hating on outbound marketing, as I have mentioned before in this article, it is necessary. There are certain types of leads that convert better and that can best be reached through outbound. More often than not, these leads are in the B2B space. Well I still I’m leery about the effectiveness of TV advertising, pay-per-click and professional, highly technical cold outreach can be very effective in just about any industry. Say you were trying to reach a target audience whose buyer persona is a business owner in the techspace. You’re trying to isolate owners of companies with between 100 and 300 employees, that have a revenue between $1M-7M in revenue. Let’s be honest, the decision-makers at these companies don’t have the time to talk to a whole lot of sales representatives. On top of this, they pay rather large budgets to two secretaries managers and other employees to deal with this type of outreach for them. So when it comes to B2B cold Outreach, you must be highly technical, straight to the point, and show value immediately bye displaying your understanding of their challenges and objectives. If you can manage to do these things, cold Outreach can be very profitable for you in the B2B space. One of my favorite tools for outbound sales is LinkedIn. For more on how to use LinkedIn for B2B sales follow this link. 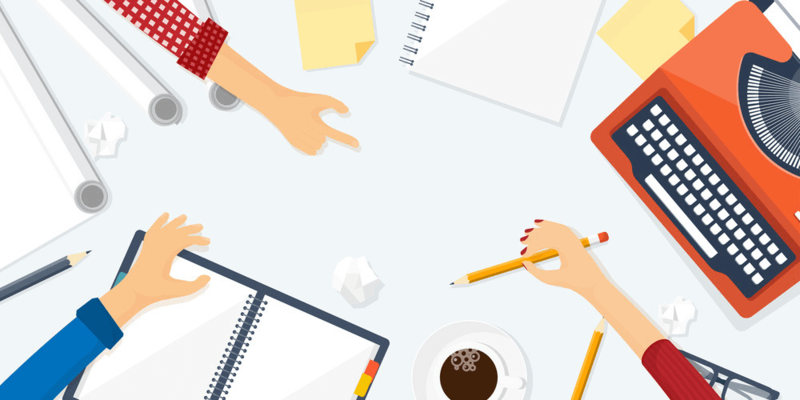 Inbound Sales: Who Couldn’t Benefit from More Leads? I can’t stress enough how much I literally try to avoid clients who don’t understand the value of content marketing and inbound marketing. If you want to believe against all statistics and all market trends that the best way to reach your audience is by not having a website in 2018, I’m not even going to try and convince you otherwise. I can’t tell you how many people I have reached out to that will not even listen to a value proposition about inbound marketing. Only these type of close-minded people cannot benefit from implementing and inbound marketing strategy, and that is simply because their mind is too closed for their eyes to be open. I don’t care if you run a donut shop, how could a client calling in to your business to order something without you having to reach out to them not help your bottom line and to build your brand? Quite simply, it couldn’t. The idea of content marketing is to build your brand through organic search traffic. But implementing inbound marketing and content marketing strategies, you can develop a loyal audience over time. As this audience matures, and you continue providing value, not only will they convert, but they will be the main engine of growth for your new sales. In essence, inbound marketing turns your existing customers into some of your best salespeople, and turns your website into a 24/7 sales representative. Is Inbound or Outbound Sales Best for My Business? In conclusion, both outbound and inbound marketing strategies have their pros and cons. Over the last decade, technological changes have drastically altered the marketing world, putting control in the hands of the consumer. In order to combat this, many companies during this time. Have switched their budgets from outbound to inbound marketing. Just this past year, inbound marketing spend surpassed outbound marketing spend in the United States for the first time ever. Considering the massive growth and change in direction of marketing campaigns in the same time frame, it is hard to imagine that this trend will slow any time soon. As a result, business owners who have not already should definitely begin exploring the benefits of content marketing. Contact our content marketing agency for free a content analysis, and suggestions on how to improve your existing online presence is highly recommended due to the complexity of this industry. Thanks a lot! Glad our content was useful to you! We are always publishing new content, usually on Tuesday and Thursday each week. If you would like, you can also like our page on Facebook, and follow us on Twitter @poofnewsales for updates on new content. 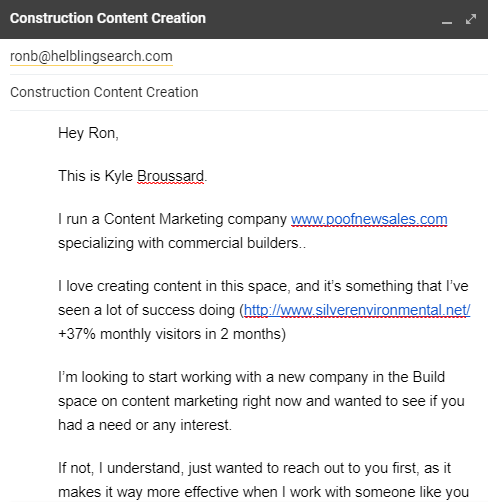 We also will be developing some content marketing tools very soon which should be super helpful to anyone in the content industry, so be on the look out! Thanks a lot Dedra for your comment! I am so glad that you found this to be helpful and that you will be checking in periodically. We push new content to our blog each Tuesday and Thursday, so be sure to visit then. 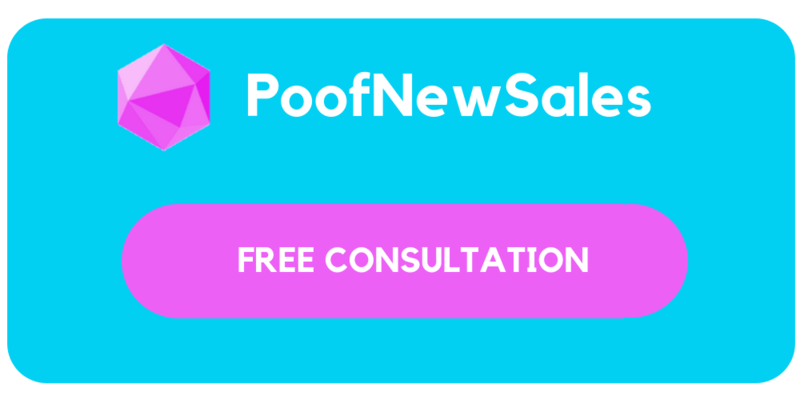 If you would like to stay updated on when we post a new blog, you can also follow us on Twitter, LinkedIn and Facebook (@poofnewsales). Lastly, I would like to ask you as a reader, what are some things you would like to learn more about in the content marketing space? I am always interested in learning more from our users, and trying to help satisfy their needs, so I would love to hear some input from you about what you think is missing out there for content about this topic. I loved your article. Reading the article was interesting. I appreciate that you went in depth and explained out the types of outbound marketing in detail. I wish I had read this in the past because I had to go through a lot of research to determine which email service provider was suitable for my needs. You’ve done a great job putting all of the information in one article. That was extremely helpful. Thank you for sharing your expertise with others. Thanks a lot Matthew, glad that our content could help you out… too bad you had to go through all that trouble in the past, but I suppose that’s how we all learn. We really appreciate the comment, and hope you keep coming back for more of our content in the future! Real nice pattern and excellent subject matter, absolutely nothing else we require : D.
Thanks Folorum! Always feels good to get some kind feedback on our content. Thanks for every other fantastic article. Where else could anyone get that kind of info in such an ideal method of writing? I have a presentation subsequent week, and I’m on the search for such info.